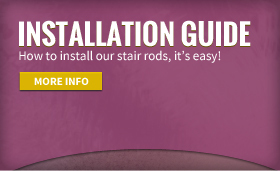 Welcome to Quality Stair Rods, No.1 for architectural quality stair carpet accessories. We have a wide range of stair rods, stair clips and stair rod cutters that are suitable for any scale of project and will meet the needs of both domestic and commercial applications. Our products look great and will compliment any interior design project. Take a look at our extensive catalogue of products where there is something to meet everyone’s taste and budget. We stand out way above our competitors due to our unrivalled quality, our commitment to customer service and our ability to deliver items direct to our customers the very next day. Shopping online with us is simple; with a one-step secure online checkout process that offers peace of mind to all of our customers. We have sourced a fantastic range of carpet accessories and work directly with the manufacturer to ensure that the quality of our products meets our exacting standards. We deal direct and our short supply chain means that we can offer prices on our products that other companies could only dream of. We don’t cut corners in quality; all of our products are 100% metal alloy construction and then have an electroplated finish. Each product is then meticulously coated with a special anti-tarnish formula to resist surface oxidisation and tarnishing. This process ensures that our products will look as good in 5 years as they do on the day you buy them. Our range of stair rods and stair clips has a design for every application both commercial and domestic. If you’re looking for a contemporary trendy London apartment or modern home then the crystal range offers an eye catching statement that will enhance the interior design or our plain bracket design for the understated minimalistic look. We offer a wide range of wrought iron effect stair rods with look great in cottages, listed buildings or manor houses. If you are looking to make a design statement our ½” stair rods stand out and will turn a plain carpet runner into a stand out piece of inspired interior design. Our stair rods come in a variety of metal finishes including chrome, satin chrome, brass, satin brass, antique brass, pewter and wrought iron. Our stair clips come in the same wide variety of metal finishes and unlike our competitors are supplied in pairs. 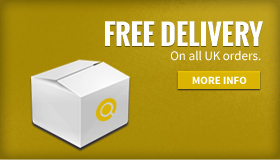 Fitting any of our products is simple and could be undertaken with basic DIY skills. Quality Stair Rods are only available direct from us, we don’t sell through other online agents or carpet shops and that is why we are so competitive. We warehouse our own stock and therefore we have it available for immediate dispatch, no lead time or broken promises. We will deliver when we say we will deliver. Customer satisfaction and quality products are the key to our continued success. If you love quality stair rods please get in touch or send us pictures of your finished interior design, we love to be a part of your projects and love to see the finished results. We also like to be sociable so please follow us on facebook,twitter or google +1. The Quality Stair Rods Team.